Whether you live one thousand miles or five miles from the area where you are hoping to relocate there is one major bit of information you must have, and that is all of the listings of available homes. When you are a renter, time is of the essence because this is usually a very busy market, and the Apartments app is a great way to stay ahead of your competition. 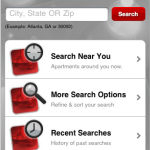 The Apartments app will let you perform a very detailed search in a number of ways. You can rely on the built-in GPS to find all available units in the area around your physical location – which means you could head to a favorite neighborhood and find all of the potential homes. You can also search by exact location too. The filters make it easy to look at those in your budget or by specific features, such as those with two bedrooms or a swimming pool, etc. 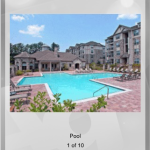 The app also allows any available photos to be viewed, driving directions and maps to be generated, and even a favorites list of potential properties you want to call on. There is also the capability for emailing or phoning the listing agent or property owner directly through the app as well. There are many apps available for those in the market for a new home or apartment, including Apartments.com and MyNewPlace, and the Apartments app is a great addition to anyone’s search tools. 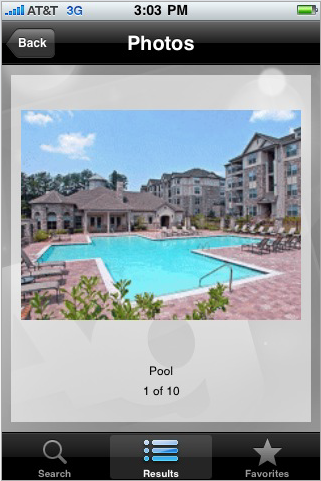 Apartments can be used by Android, Blackberry, Nokia, Palm, Symbian, Windows Mobile, iPhone, iPod Touch devices. There is no cost for the download of this app and all upgrades are also made available at no cost as well. 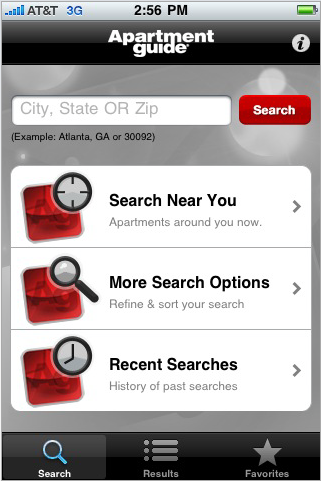 If you want a powerful tool for local or long-distance apartment searching this is the app to acquire today.